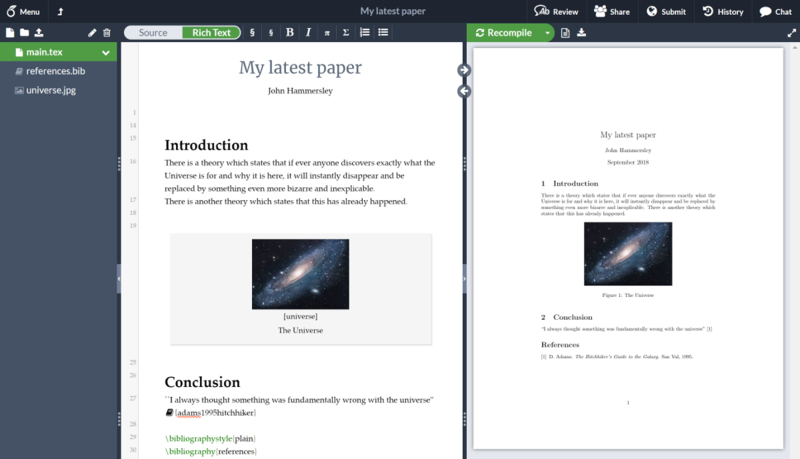 Overleaf is an online collaborative writing and publishing tool that makes the whole process of writing, editing and publishing scientific documents much quicker and easier. 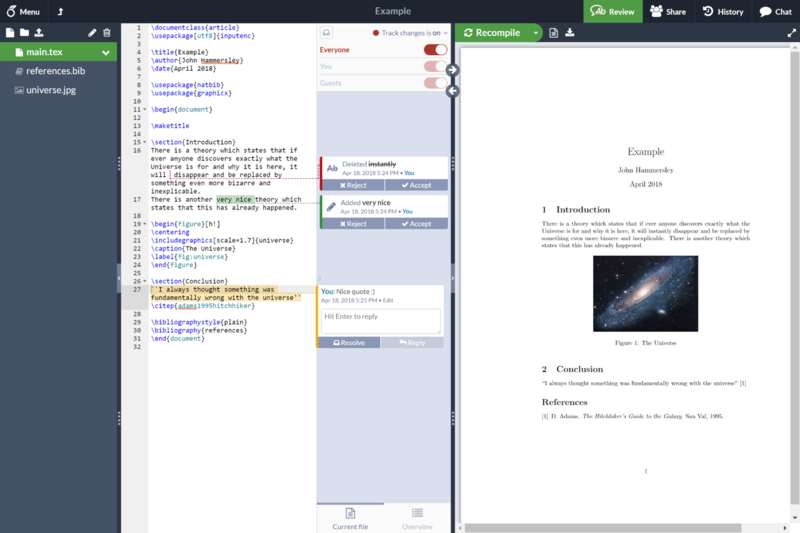 Overleaf provides the convenience of an easy-to-use LaTeX editor with real-time collaboration and the fully compiled output produced automatically in the background as you type. 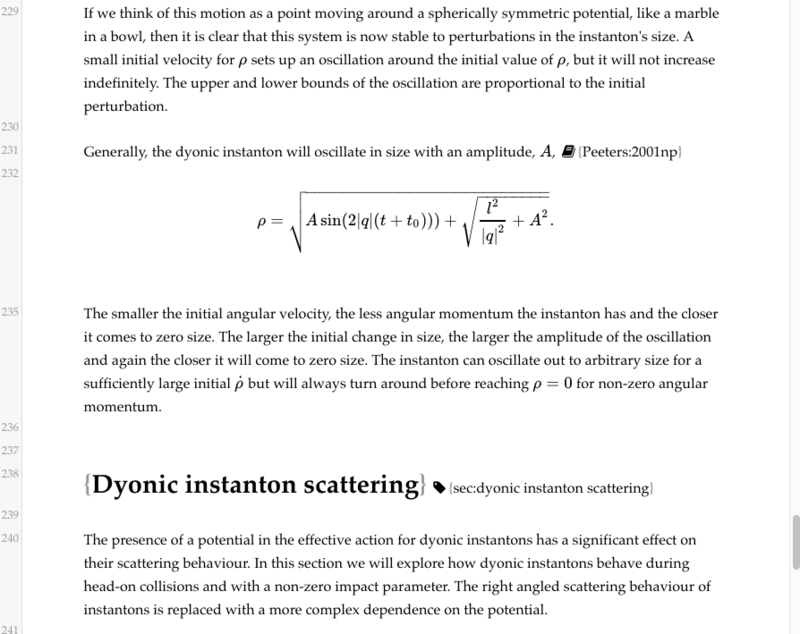 My first paper (https://arxiv.org/abs/1809.04052) was accepted by a conference, and I could not have written it without Overleaf. 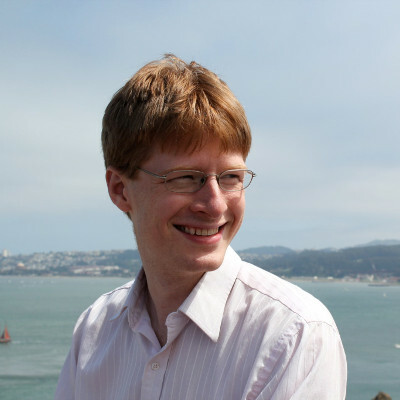 It allowed me to make progress on my phone while watching the kids, work from anywhere, and most of all, get started writing LaTeX without any setup. Thank you! We compile your project for you so you can see the results right away. There's no software to install, so you can start writing and collaborating instantly. 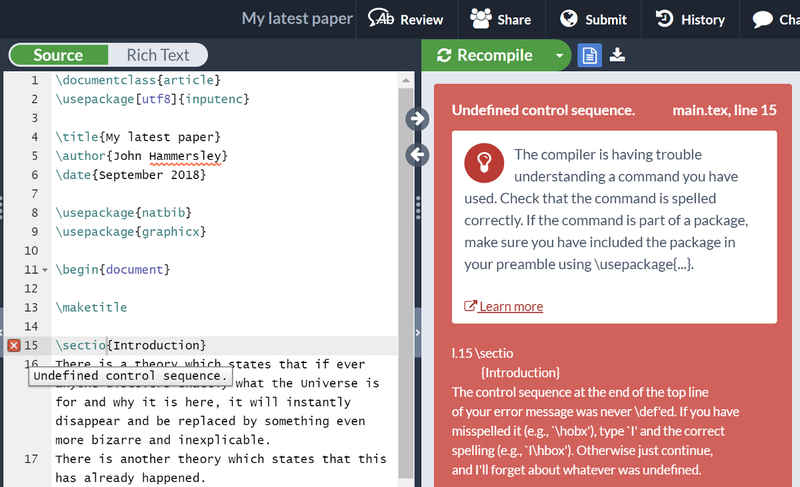 Our real-time preview also makes it great for learning — you can see how your final project looks as you type! Never worry about leaving that key document at home when you're travelling; with Overleaf, you can access your documents from any device, when you need them. Collaborating with others? Overleaf synchronizes changes from all authors transparently, so everyone always has the latest version. Every document you create on Overleaf is private by default, with two easy ways to share your work with collaborators: by private invitation or by link sharing. 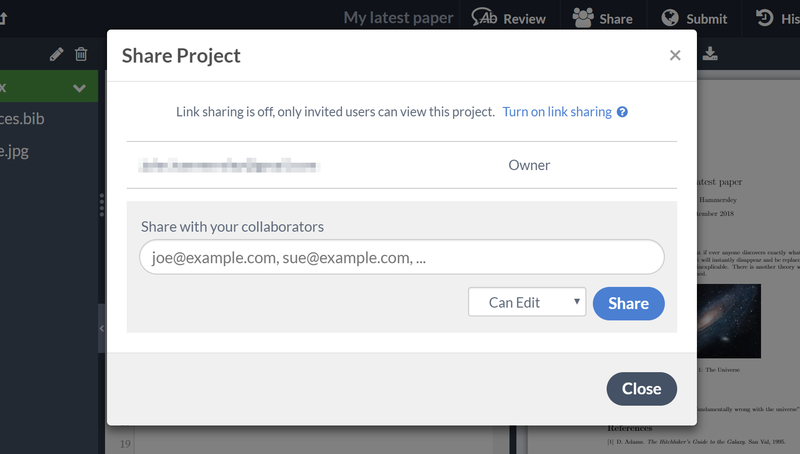 Link sharing allows you to share your projects via secret links. Just turn on link sharing, send the link to your co-authors, and they can review, comment and edit. Or simply turn the link off to make your project private again. Private invites allow you to invite selected, named collaborators to access your projects; the number of named collaborators you can invite on each project depends on your plan. See Overleaf plans and pricing. Overleaf compiles your project in the background, so you can see the output PDF right away. It's great for learning, and to avoid building up errors in your project, but you can also switch it on or off as you prefer. With real-time commenting and integrated chat, you can discuss your work without having to switch to email, printed versions or any other tool. You can leave comments, give quick feedback and resolve issues, all within Overleaf. On an upgraded plan, you can also keep track of every change made to your project, and who made it. You can easily see what your co-authors or reviewers have changed and see how it impacts the document. Accept or reject individual changes quickly with the click of a button, and move onto the next change needing your attention, all inside the editor. Prefer to see less of the code when you’re writing? Or working with colleagues who are more familiar with WYSIWYG editors such as MS Word? If so, simply switch to editing in Overleaf's rich text mode, which renders headings, images, formatting and equations directly in the editor. Overleaf shows you errors and warnings as you go, so you can catch them early, and it shows them inline, so you don't have to find them in the LaTeX log. Write your thesis, create a calendar, make amazing presentations with the beamer package and create posters to showcase your work, all from a wide selection of popular templates. The real-time preview also helps when you're working with complicated tables, tikz figures and pgfplots graphs. Choose from thousands of templates in our free online template gallery.